By the 1960s, Kenneth Noland had positioned himself in the American art world as a master colorist, an artist “of first rank, often great, and a primary force in the development of abstract art.” (1) He helped to establish the Washington Color School, which fit into the larger scheme of color field painting by artists such as Barnett Newman and Helen Frankenthaler. In fact, Noland met Frankenthaler at Black Mountain College, where he began his art education. Noland, unlike many well-known artists associated with Black Mountain, was a native of nearby Asheville, North Carolina, and heard about the college through his brother, Harry, who also attended. He attended the college from 1946 to 1948 and studied primarily under artist Ilya Bolotowsky while Josef Albers was on leave. Noland was connected to the college for several years, and not only became a name fixture of the New York avant-garde, but the college had a sizeable impact on him and his career. Noland ‘was working in a clothing store [in Asheville] one day when [students] Oli and Joan Sihvonen came in. Ken noticed they were both wearing sandals, so he asked them if they were from BMC. They were indeed. Ken says Oli talked to him about the College and encouraged him to come out and visit. (2) His brother Harry helped to convince him to enrol. This article was written by Kate Mothes, M.A., University of Edinburgh. 1. William Agee quoted in press release for ‘Kenneth Noland: Paintings 1975-2003,’ PACE Gallery, 21 March 2014 to 24 April 2014. Accessed 25 September 2014. http://www.pacegallery.com/newyork/exhibitions/12659/kenneth-noland-paintings-1975-2003. 2. Kenneth Noland interviewed by Mervin Lane, ‘Some Talk about BMC,’ in Black Mountain College, Sprouted Seeds, An Anthology of Personal Accounts edited by Mervin Lane (Knoxville: University of Tennessee, 1990): 210. 3. 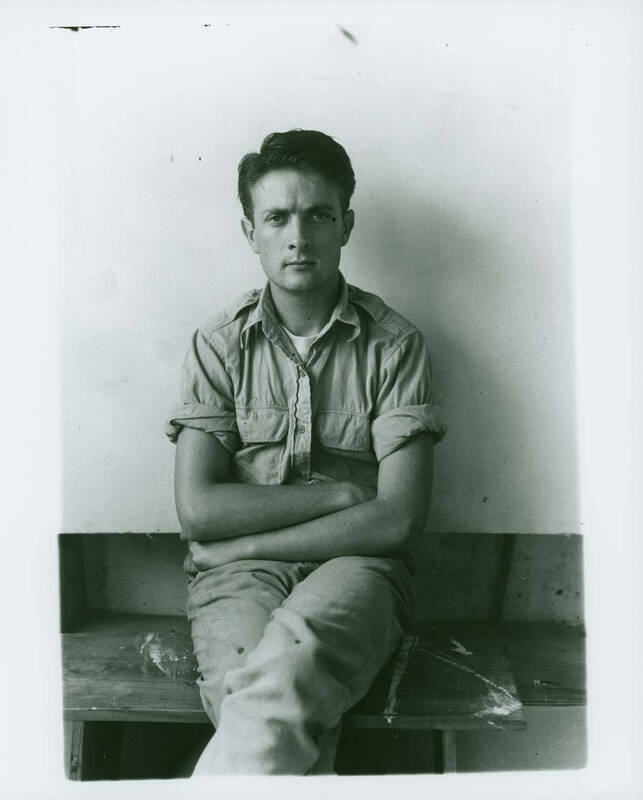 William Grimes, ‘Kenneth Noland, Abstract Painter of Brilliantly Colored Shapes, Dies at 85,’ The New York Times, 6. January 2010. Accessed 28 September 2014. http://www.nytimes.com/2010/01/06/arts/06noland.html?pagewanted=all&_r=0. 4. ‘Noland, Kenneth,’ Grove Art Online. Oxford Art Online. Oxford University Press. http://www.oxfordartonline.com/subscriber/article/grove/art/T062677. 5. ‘Noland, Kenneth,’ Grove Art Online. 6. Kenneth Noland interviewed by Lane, Sprouted Seeds, 213.